The Zonal Police PRO, Dolapo Badmos in a cryptic Instagram post just revealed that Davido will be getting engaged soon. 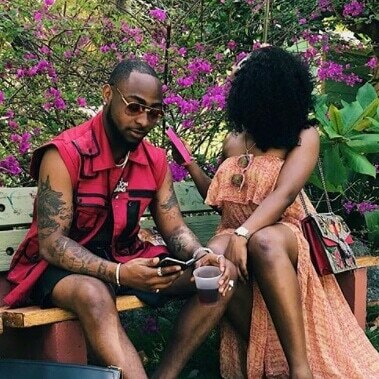 Ms Badmos explained in her post how Davido's current boo, Chef Chioma won his heart and during the process dropped the hint about the future of the young couple. According to the police chief, it had to do with Chioma exceptional culinary skills in the kitchen. "The best way to an African man’s soul is through food. All ladies out there should learn how to prepare dishes! No man wants to be eating from restaurants all the time. Homemade food are the best! if you are confused ask that boy that killed Goliath why after 3 or 4 baby mamas, he is sticking and dotting roundabout that @chef. That girl has obviously won the game and will be getting her left 4th finger filled with Mr D’s ring soon! You all thought it’s juju??? No no no she’s gotten him through dishes (power of food) young ladies get yourselves into kitchen and learn how to make good recipes and mr right will stay."